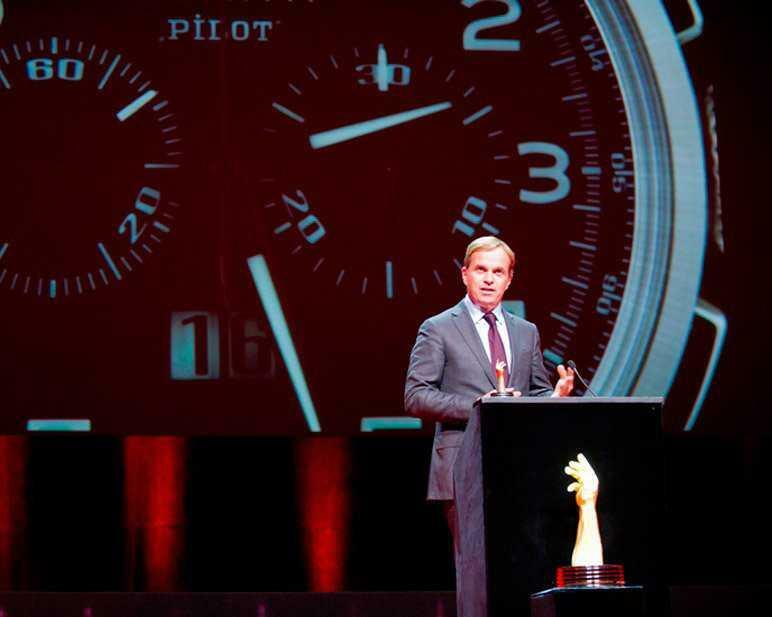 The prize of “the Petite Aiguille” category has been won by the Zenith Pilot Big Date Special. The jury of the Geneva Watchmaking Grand Prix has rewarded the elegance and unimpeachable functionality of this chronograph. 70 models competed in the various categories, and a model from the Manufacture Zenith was honoured by the Grand Prix jury for “the Petite Aiguille” category at the prize-giving ceremony held in Geneva’s Grand Théâtre last Thursday. 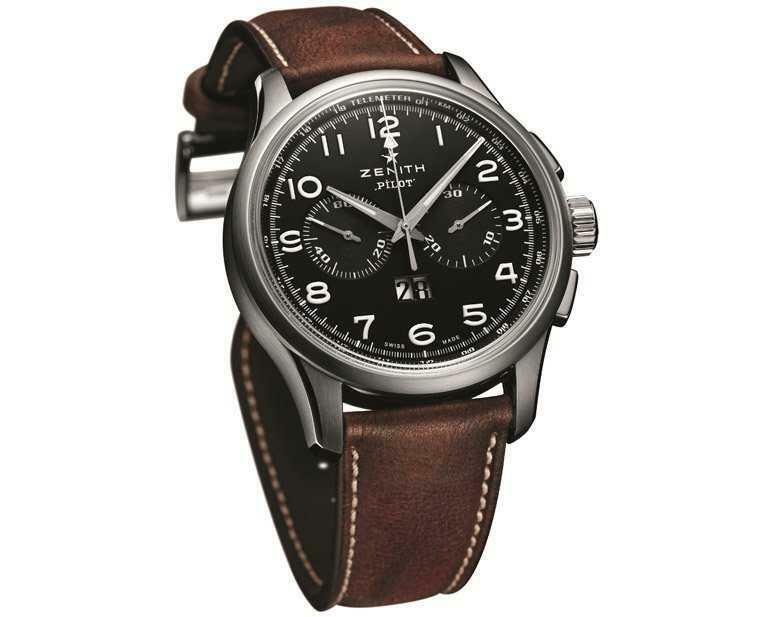 Through the PILOT collection, Zenith is reasserting its expertise in the field of aviation. The brand has made aviation history from its beginnings by producing time measurement instruments used to help pilots in flying aircraft, notably including onboard counters. Since 1865, when 22 year old Georges Favre-Jacot founded the company, Zenith is acknowledged as a benchmark in terms of precision and reliability – twin qualities that are indispensable in the aeronautical field. Hands treated with black ruthenium and highlighted with Superluminova mark the hours and minutes in a decisively masculine and modern style. Their sporty, dynamic shape matches the refined graphic style of the Arabic numerals that pay simple and solemn tribute to those of the 1960 chronograph. The El Primero 4010 calibre ticks away with an exceptionally consistent beat. Its high quality finishes can be seen through the sapphire caseback. The winding rotor is decorated with thin Côtes de Genève in the purest watchmaking tradition.